Telemedicine is any two-way communication between a patient and a health care provider using audio and/or video technology. There are many solid reasons to use telemedicine for yourself and your family. This technology is available now to most people. If you are not already using telemedicine, you should consider it. At Pivot Health, low-cost telemedicine is a built-in value-added feature to our short term medical insurance. In this post, we will provide five major reasons to use telemedicine. And there are more than five reasons: some people just like it, some want to be able to say they are using the latest technology, some just want to avoid seeing a doctor in-person. There also are those people who now primarily interact with the rest of the world only through their phone or tablet. Whatever reason first brings you to telemedicine, it is likely that some or all of the five points listed in this post are the reasons you will continue to use this technology. Knowing that telemedicine is becoming an increasing need, convenience and cost-saver for many consumers, Pivot Health has incorporated this service as a non-insurance benefit into its products. Through Pivot Health, you can purchase short term health insurance and receive telemedicine services as an added value. 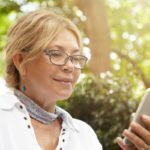 This post concerns the more typical definition of telemedicine: interaction between a patient and a medical care provider. However, there are different types of telemedicine. They can be categorized in many ways, including the following. • Interactive care – This is what we typically think of as telemedicine today. It is medical care that involves interaction between a doctor and patient in real time. It may involve live video and audio, with the transfer of medical data and direct communication between the patient and a doctor or other medical professional. In many instances, it is almost like a face-to-face office visit, and the doctor can remotely perform a physical examination and make medical evaluations based on seeing and talking with the patient. It’s as close to “being there” as it gets with telemedicine. • Store-and-forward care (asynchronous, telemedicine) — This is usually interaction between two doctors, where the treating doctor electronically forwards to a consulting specialist a patient’s medical data, which may include X-rays, MRIs or other radiology images, as well as photos, videos and other patient information. The specialist that receives the data consults with the treating doctor, makes an analysis, diagnosis and recommendations for treatment. • Remote monitoring (home health telemedicine) – This is using technology to monitor patients at home. It can be used to assure that chronic conditions are receiving appropriate care. The patient’s vital signs can be monitored and transmitted to a medical facility to determine if the statistics merit any medical action. 2. Faster, More Convenient and Comfortable. 4. More Collaboration of Health Care Professionals. 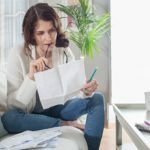 In a recent study, conducted by the Alliance for Connected Care, researchers found that using telemedicine could save up to $100 or more, compared to a doctor’s office visit. Only 12.3% would have done nothing if telemedicine had not been available to them. If these statistics were used to compare costs of telemedicine vs. other types of care, the savings through telemedicine were be even higher than the $100 per visit. The study’s assumed cost of care for emergency department visits was $1,595 and for urgent care visits $116. For many patients, telemedicine can bring nearly immediate relief through diagnosis and, for some, subsequent prescription drugs that are ordered electronically following the telemedicine visit. Wait on the phone to talk with the reservation clerk at your doctor’s office. Wait for the first available appointment that fits your schedule. Wait to get that parking spot that is closer to the door of the building. Wait in the waiting room at the time of your actual appointment. Wait in the exam room for the doctor, following check-in with a nurse or physician’s assistant. Wait for the doctor to return to the exam room with any additional information or prescription form. Telemedicine allows you to receive medical consultation the same day, sometimes even within an hour or less. Many telemedicine visits also include a prescription being ordered through your local pharmacy, which also can occur faster than if you visited your physician’s office. In addition to faster service, some patients feel more secure that the information they provide is more confidential when they speak to a doctor via video and/or audio conference. There are no other patients walking by who may hear your discussion. In some physicians’ offices, the walls are thinner than we would like, and you may unwillingly hear parts of discussions that happen with other patients, while you quietly wait your turn in the exam room. Telemedicine reduces the risk of transmitting contagious diseases. Since you are not sitting in a waiting room or visiting medical professionals in person, other people are not exposed to your infectious disease…and you are not exposed to the infectious diseases of other patients or of health care workers. In addition, if you need to bring children with you to your office visit, if the child is the sick one or if no child care is available to you, for instance, you may be concerned about exposing those children to the infections of others through touching furniture, books, magazines and even play areas that some physicians’ offices provide to entertain children. As you can see, many of these conditions are contagious and could be spread to others during a physician office visit. Through conferencing capabilities, it is possible to connect more than one health care professional with the patient for determining diagnosis and treatment. This can be particularly important in rural areas, or for certain specialties of care, where the specialist may be located at a far distance from the patient that needs consultation. Electronic medical records and the ability to transmit x-rays. Images and other test data also make collaboration among health care professionals more available and more effective. When medical professionals all can access the same test data and information, they can more quickly and effectively discuss a patient’s condition, diagnosis and treatment. Through additional telemedicine visits, the medical provider can check on the condition and progress of the patient, without either of them having to travel. This is especially important in rural areas, where there may be fewer health care providers, leading to less accessibility to care for many people. However, telemedicine also can reduce the amount of follow-up care that may be needed. In the Alliance for Connected Care study, 83 percent of the patients had their conditions resolved in one telemedicine visit, so less than 1 in 5 patients needed follow-up care. About half of those that needed follow-up care were referred to a physician’s office, in this study. This post is concerned primarily with the advantages to the patient in using telemedicine, but it is also important to recognize that telemedicine allows medical providers to increase the effectiveness and efficiency of the health care services that they deliver. 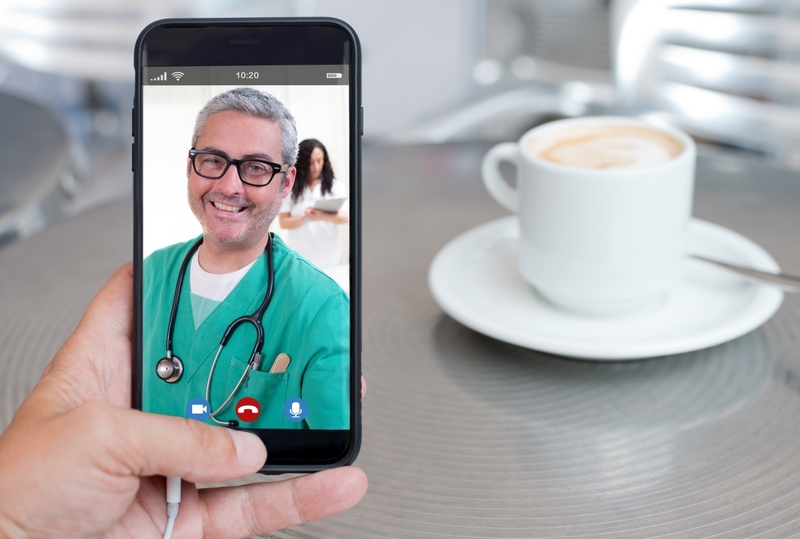 A recent article directed at Chief Information Officers in the medical field listed 10 ways the technology of telemedicine is changing the way medical professionals are delivering health care. 1. Diagnose and treat strokes faster. 2. Provide ICU physicians and nurses a second set of eyes. 3. Let patients undergo rehab at home. 4. Help patients reduce their risk to heart disease. 5. Encourage diabetics to embrace healthier behavior. 6. Empower patients to manage chronic conditions. 7. Improve oral health with store-and-forward telemedicine (sharing medical images or other data). 8. Link patients and general practitioners to dermatologists. 9. Provide mental health consultations to children. 10. Improve rural health care around the world. No matter which of these five reasons are most important to you, remember that you can have all the advantages of telemedicine when you purchase a Pivot Health Short Term Insurance plan. 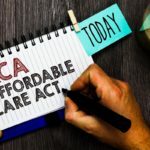 By checking out these insurance products today, you can provide yourself and your family the advantages of telemedicine tomorrow and into the future.